Welcome to the July Beautiful World Tour, brought to you by Flourishes! Each month the team presents a themed blog hop, hosted by our group of international designers... we are literally spread out all over the globe! At the heart of our projects is the idea of truly showcasing beauty in card making – whether it just be in a beautifully colored image, a fabulous way to incorporate an embellishment or a new twist on a card layout. If you just happened on the blog hop today because you're a regular reader of my blog, and you'd like to view the entire hop list, last month's winner, and details, you can start back at the Flourishes Blog. If you're already hopping and you've just come from there, you're doing just fine. High fives! 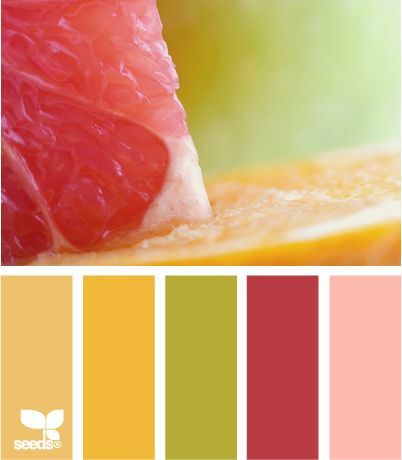 This month we've been challenged to work with citrus colors! What a fun summer palette. I used this color prompt from Design Seeds for inspiration, and threw in a little extra orange for good measure. The floral bouquet image is from the Spring Bouquet set - it's beautiful and so versatile because of its large size. I stamped the image several times in Memento Potter's Clay ink then colored in the panel using Prismacolor pencils. The sentiment is from the Hydrangea set. To achieve the ruffly effect on my sheer ribbon, I heated it carefully with my heat tool. Dina, this is stunning - grapefruit pink is my favourite shade these days - I could lost in your colouring, it's just breathtaking! Wow this is gorgeous. I just love her flowers, they are so perfect! Beautiful card!! GASP!!!! STUNNING!!! Dina, you are on FIRE, this is exquisite!! Amazing colouring I thought it was designer backing paper! Wow, I love that citrus palette and you demonstrated it beautifully in your image. Great coloring! WOW!!!! Stunning -your colors and coloring skill are both wonderful!! Oh Dina, this is absolutely gorgeous. I love that you stamped the image in Potter's Clay. It is so much softer than black. Thanks for the inspiratio. Very pretty in citrus colors. Breathtakingly stunning. Deliciously juicy colours....and flawless colouring! TFS. WOW! Your colouring is absolutely AMAZING! I have recently coloured that image and I know how long it takes so what you have done with this card just had my jaw dropping!! Beautiful! I love how you stamped it multiple times. 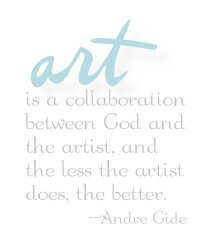 And that sentiment is wonderful too. :) Thanks for sharing. Wow--this is a masterpiece! Your coloring is amazing. I love the colors and image you chose. Absolutely stunning card. The stamp is just beautiful and you have done it justice with your extraordinary coloring. Exquisite coloring. Those flowers really pop off the page. It inspires me to dust off my Prismas and start coloring. Absolutely gorgeous Dina! The colouring is stunning. WOW!AWESOME CARD!! !Beautiful colors,Love your coloring!!! Gorgeous card Dina! That coloring is fabulous the colors chosen are perfect! 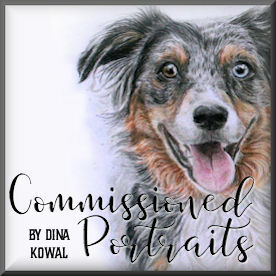 Gorgeous coloring and image Dina! Very inspiring!! What a gorgeous card!! I love all the beautiful colors!! Such a beautiful card!! I am glad to see a card colored with Prismacolors....since I do have a big set of those and I don't have Copics! :) Your coloring is gorgeous and I love the idea for carefully heating the sheer ribbon. I'll have to play around with that idea! This simply stuns and takes my breath away. Humbled. Absolutely gorgeous.. striking colors.. lots of definition.. TFS I need a Dina K. credit card to follow you around buy all your stamps and supplies... lol.. This is so gorgeous! Your stamping and coloring look like a beautiful piece of designer paper!! And I love that you didn't do a whole lot else to the card; it's awesome! This is just breathtaking!! It's a work of art!!! Love the combination of colors that were picked.